Popular MCs and singers took part in a program called ‘Music for Patients’ at the Tu Du Hospital on March 21. 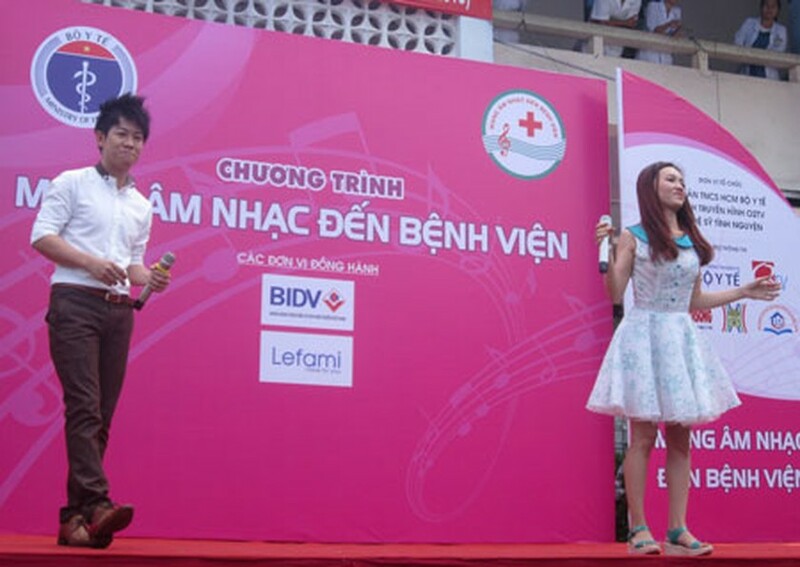 Participants included Thanh Bach and Hong Phuc, singers Thai Thuy Linh, Khoi My, Phan Ngoc Luan, Ha Thuy Anh and two amateur singers Bao Tran and Duc Anh. The program collected VND15,470,000 (US$739) from audiences. This amount will be divided into five cash gifts of VND2 million for treatment of five very poor patients at the Tumor Division of the hospital. The remaining sum of VND5,470,000 was given to the hospital poor patients fund. In addition, the program received 10 cash gift donations of VND600,000 each from Bank of Investment and Development and the Le Bao Minh Company.